How to identify the type of leather to be furnished? Though skins of different animals can be used to make leather, mainly cattle, sheep, goat and pigskins are the most commonly used. Despite the presence of a diverse range of leather in the market, leather can be divided into three main categories as described below. Aniline leather: It comes with the most natural look with unique surface attributes of the hide being visible. Only dye is used to color aniline leather without any surface coating of pigment and polymer. A light surface coating is sometimes applied to increase its aesthetics which offers little protection against soiling and spillages. 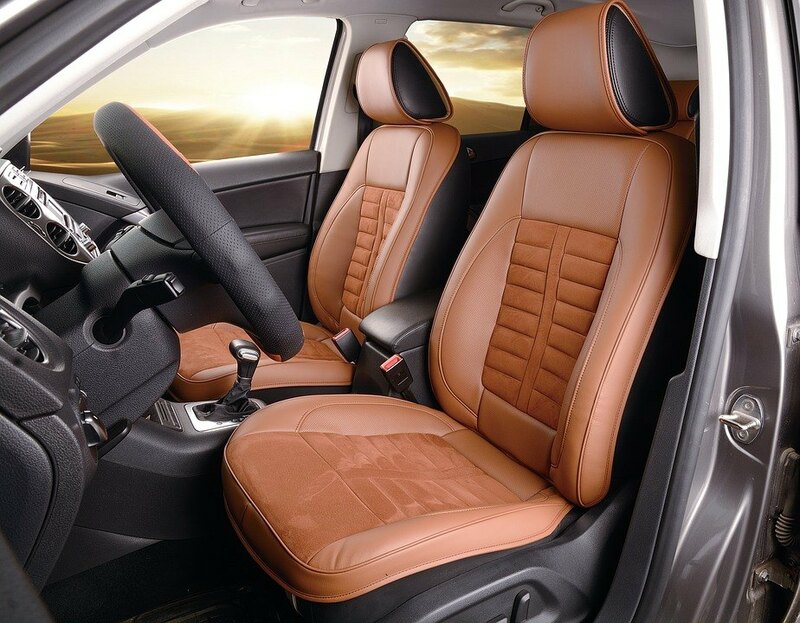 Semi-aniline leather: It comes with more longevity compared to aniline leather while providing a natural appearance. Application of a small amount of surface coating that contains a little quantity of pigment is the reason behind its enhanced durability. The color remains same over time and provides some amount of stain resistance. Pigmented leather: This type is the most durable in nature and is used in almost every car upholstery and most of the furniture upholstery. A polymer surface coating that comprises of pigments is used to enhance its durability. This surface coating provides more control over the attributes of the leather i.e. resistance to fading or scuffing. There are some other types of leather available in the market too. Let’s have a look at these. Corrected grain pigmented leather: Here, the grain exterior is stripped to eliminate imperfections prior to the application of the surface coating. Then the surface is embossed with an ornamental grain pattern. Full grain pigmented leather: The grain exterior is kept intact prior to the application of surface coating. Antique grain: A special surface impact is created to imitate the unique ‘worn’ effect of traditional leathers. A partial or uneven contrasting top-coat is applied to achieve this effect. Finished split leather: A polymer coating is applied and embossed to imitate grain leather on the lower or middle section of a hide. This is ideal for low stress application as they’re weaker compared to grain leather. Nubuck: Aniline dyed leather with slight abrasion on its grain surface to create a nap or velvety finish. Pull up leather: A natural looking leather that becomes lightened in color when stretched during wear to create an inimitable worn-in effect over time. Suede: This split provides a distinctive nap by using abrasion. Its appearance may vary but it’s of low-quality compared to nap on the nubuck due to its looser fiber structure. Your selection of leather depends on what you prefer in terms of appearance, the product and its utility. What are different cleaning codes used in leather repairing? A majority of leather upholstery including aniline, nubuck, protected and suede can be cleaned and conditioned at your home using secure and non toxic methods depending upon the particular type of leather. There are leather cleaning codes that can be found on a tag on the platform beneath the seating cushions. Here’re the details of these codes. 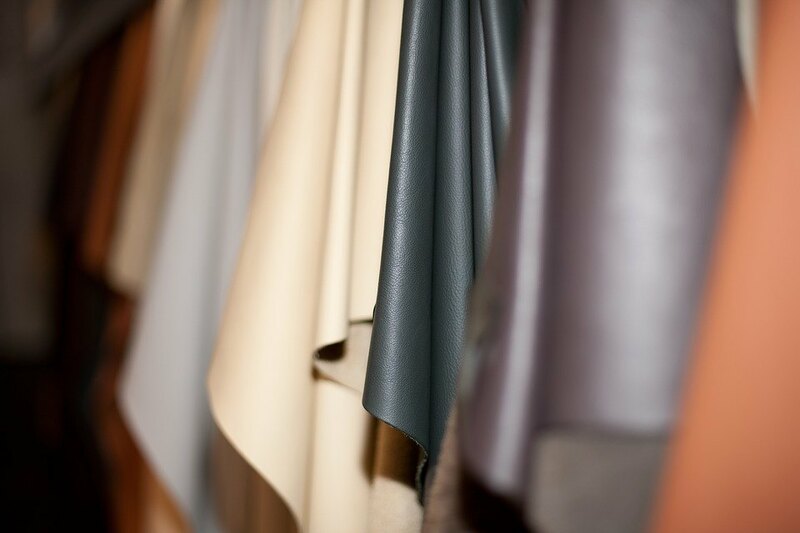 A (Aniline): These leathers are widely considered as the top quality in terms of style and texture. As these are more susceptible to soils and spills compared to protected leathers, regular maintenance and cleaning are crucial to retain their top condition. P (Protected): Being the most user-friendly leathers these and are treated with one or more coatings to avert oil- and water-based stains and spills from invading the hide. Simple maintenance on a regular basis together with annual deep cleaning help to maintain their look for decades. N (Nubuck): These leathers provide soft, luxurious feels as they’re developed using special cutters. Since nubuck leathers are the most difficult to take care of, among other types, it’s advisable to get them professionally cleaned before they get extremely soiled. Ideally, you should avoid home cleaning and spot cleaning methods as they can permanently spoil the appearance and texture. Skin Oils: Our skin oils can easily transfer to our leather furniture and the high acidic nature of these oils can be really detrimental to leather. As unfinished/unprotected leather acts like a sponge, it soaks in the oil. Alcohol: This liquid settles on your leather if it’s left for more than one hour or so. Alkaline: Found in various soap cleaners and saddle soaps, this chemical can dry out the leather. Common Dirt/Soils: This includes dirt and fiber from household plants and from normal foot traffic indoors. Ink and Dyes: Ink from a marker or pen can directly transfer to the leather. Ink from newspapers and books can also be transferred easily. Dye from different clothing and denim jeans too can get deposited on the furniture. Atmosphere Oils: We all know that how fast dust settles in our homes. Airborne pollution and cooking oils can also get soaked by your furniture. Lemon or Fruit Juices: Like our skin oil, these items are also acidic in nature and thus can cause the same damage. 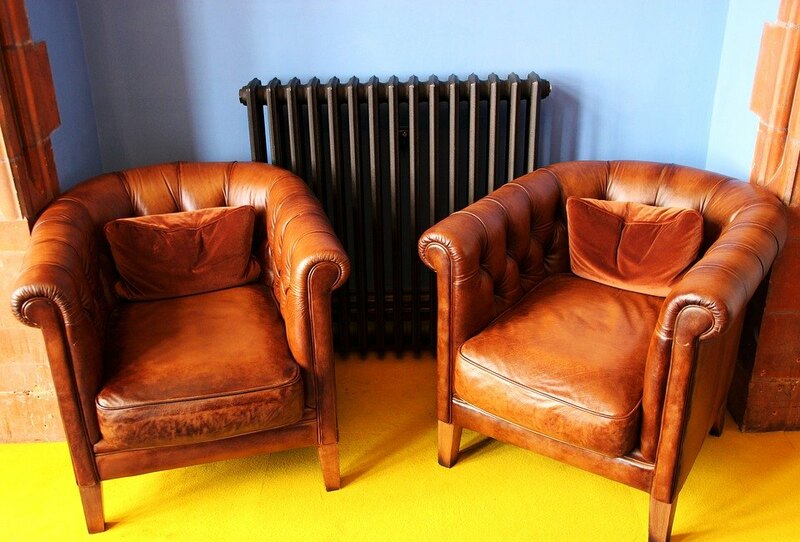 Wipe your leather furniture with a dry, clean cloth on a regular basis. Use microfiber cloth, if possible, and incorporate this wiping in your weekly cleaning routine. All furniture experiences build up of debris and dirt and your leather furniture is no exception. Utilize your vacuum with a gentle bristled brush attached to it for cleaning your furniture’s crevices. Clean the spills instantly with a dry cloth. Instead of using all-purpose cleaning sprays, solvents, detergents, bleach, ammonia etc, use cleaners that are specifically designed for cleaning leather. Before starting cleaning your leather furniture, it’s always advisable to meticulously go through the manufacturer’s instructions on how to take care of your furniture. Though normal care guidelines are also useful, it’s always good to have a look at the instructions for anything specific provided for your piece. Scratches and scuffs caused by normal use are very common for leather furniture even when you are careful about your furniture. This is particularly true if you live in a house with small children or pets. Leather is such a material that can bond to itself, and that makes the repairing job of surface scratches comparatively simple. Let’s have a look at the step-by-step guide on how you can repair scuffs and scratches on your leather furniture. As repairing methods of different kinds of leathers are different, it’s important to begin with identifying your piece’s leather type. Finished leather is used to make most of the furniture. This comes with a sturdy surface that prevents scratches and liquid absorption. If your furniture piece is made from aniline leather, then you can see texture. In case your furniture is made from semi-aniline leather, then there would be a fine layer of coating. Bicast leather, which is a leather by-product, is made from low-quality leather. This contains a split leather with a coating of polyurethane at the top. After noticing a scratch, call the manufacturer of your product as many of them have certain recommended ways to repair the pieces. Remember that the manufacturer’s recommended procedure relates to your leather type directly. In case you can’t find any luck with this, move on to the next step. Scratches on leather furniture can be of different types. While some scratches are easy to fix, some others are more serious and may require different procedures. In case of a minor scratch, the underlying leather should be intact while a deeper scratch can cut the leather. If the leather is completely cut, then you should be able to see the inner stuff of your furniture. Apply saddle oil, olive oil or baby oil directly into the scratch, rub it on the surrounding leather, allow it to dry and then clean it with a clean cloth. With a clean cloth, apply lanolin oil into the scratch. This may take number of re-applications to abolish the scratch. With the help of a heat source and a wet cloth, you can bring the leather oil out. Remember that this method is only applicable for aniline and bicast leathers. 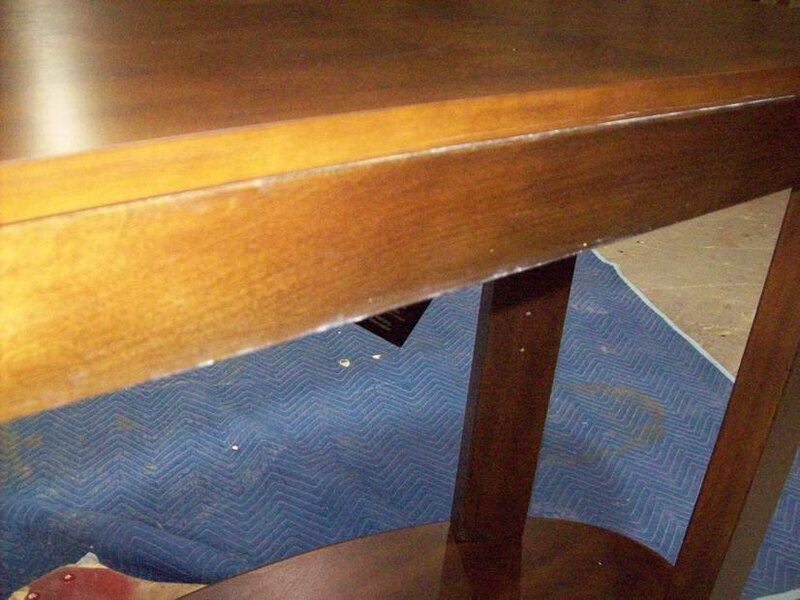 Apply shoe polish (that matches your furniture) to the scratched area. Buff the scratched area with rubbing alcohol. Clip or sand any loose threads around the cut. Apply filler to the furniture’s scratched area. Apply matching shade of leather colorant to the sealed area. Apply a couple of coats of leather finish to the area. In case you’ve cuts and tears in your leather or faux leather furniture, then it might take a little more effort to repair it. Here’s the process of doing it. First, you need to buy a leather and vinyl repair kit for the job. You can find this online or at a physical store that sells leather repairing equipment. A standard kit usually has liquid leather materials in different colors, an equipment to apply heat, grain texture release paper together with a piece of leather for practice. You need to make the appropriate color that matches your furniture. This is perhaps the most difficult part of the entire method. Though you can find a color chart in the kit, it would probably be easier if you can make the color on your own. Remember that this may take a couple of trials. Mix the colors in the empty pots that come with the kit. Now, you need to paint the area where you’ve the cuts and tears with the substance. Heat the tools e.g. a toothpick and little spatula and then apply it to the tear. Use the heated tool and texture relief paper to apply heat to the area. Move the tool over paper and the entire area that you need to repair. Keep the paper on the area for a few minutes and remove it. You may need to repeat the process depending upon the severity of the damage. It’s not that difficult as it sounds. A couple of practice sessions will surely make you better in this DIY job. Accidental drops of cigarette ash on your leather couch can leave a burn mark. Read on to know how you can repair this. You’ll need a piece of leather exactly similar to your item, sharp small scissors, fabric glue and cardboard. Cut a little circle, which should be little bigger than the burn hole, out of that cardboard. Insert the piece into the burn hole. If required, pinch up your leather at the side of the burn hole and keep the cardboard in upright position to prevent further damage to your leather. Use scissors to trim the burned edges. You should see the hole right through that cardboard. Cut the piece of leather to size and remember to cut it slightly bigger compared to the hole. Ideally, you should cut a bigger piece at first and then trim it to a suitable size. Apply fabric glue to the leather piece. Remember not to use too much of it, which can make it visible at the edges. Excess amount of dried glue can be real difficult to remove as it’s thick and strong. Take time to dry the glue completely. You can put a weighty object like a book on the patch. Go through the drying guidelines that come with the fabric glue. After the drying time is over, trim off any extra amount of leather. Make sure to create a clean line encompassing the patch you made. Leather sofa cushions are meant to enhance the luxurious quotient and comfort of the sofa but at the same time, they’re susceptible to damage and wear. Replacing them might be a daunting task but you can do that with the help of a matching cushion of the same color, size and style. Here’s the process to do it. Contact your sofa manufacturer to obtain an identical cushion. If you feel hesitant, check the original sales receipt where you can find the model number and manufacturer’s details of your sofa. Take a picture of the sofa if you don’t have any luck in finding the manufacturer’s information and contact the actual retailer. Furniture sellers usually identify the products they’ve sold and hence might be able to help you detect the model number and can order a replacement cushion for you. Major manufacturers usually replace individual cushions. In case you can’t find anything related to your sofa’s model number or manufacturer, order a replacement cushion. Measure the length, depth and width of the cushion and contact local shops that prepare custom cushions. Get price quotes from different shops. 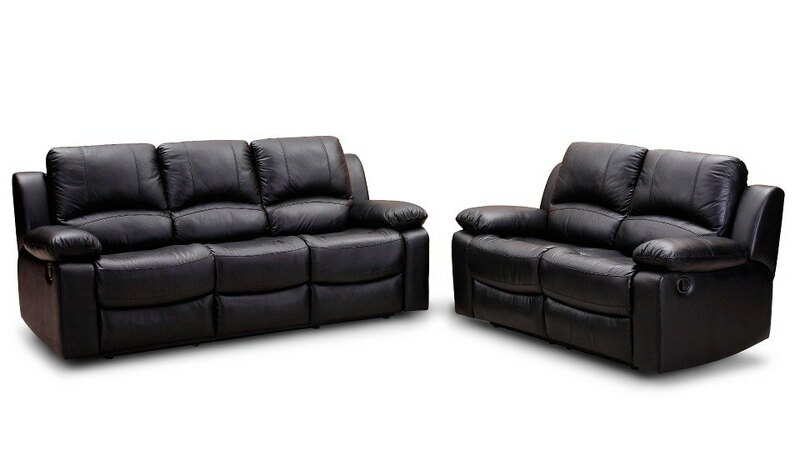 A retailer who sells large number of leather furniture may help you out in finding a close match and even place order to a leather furniture manufacturer on behalf of you. After ordering the cushion, obtain an approximate delivery date. 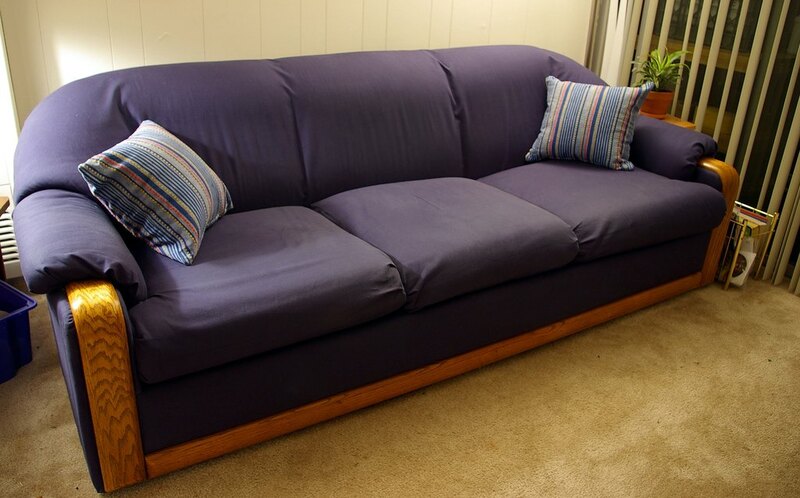 You may even consider replacing all the cushions because if they vary from your sofa color, it may look intentional. Go through the return policy because replacement cushions are considered as special orders and usually aren’t eligible for refund or return. Things you’ll need are warm water, cleaning cloth, mild dish soap, denatured alcohol, microfiber cloth, mild sandpaper and auto leather repair kit. While buying the repair kit, make sure that the leather dye matches the color of the leather interior of your car. Mix warm water with mild dish soap and clean the seat. Then rub the cracked areas with denatured alcohol and wipe the areas with the microfiber cloth. After the leather is dried, use sandpaper to sand the cracked areas and wipe the areas with microfiber cloth again. Before using the auto leather repair kit, read the instruction thoroughly. Use the liquid leather sealant material to smooth out the cracks in accordance with the instructions. Apply leather dye cautiously to the damaged areas to match it with the rest portion of the seat. Allow the seats to dry completely before repeating the process. While performing the repairing job, it’s best to have the car in a closed and clean garage and, keeping the windows rolled up to avoid debris and dust entering the car. Vacuum: Vacuum is perhaps the most useful option when it comes to cleaning leather furniture. Remove all the cushions from the couch and vacuum beneath them. It would help to get rid of dust, dirt and debris. Baby Wipes: Baby wipes can do wonder in cleaning leather furniture. You can also use leather conditioning wipes to remove the build- up residue from your couch. Moisturizing soap and water: You can use a clean wet cloth together with moisturizing soap to eliminate the stains from the couch. Lemon juice and cream of tartar: Lemon juice together with cream of tartar sometimes provides a bleaching effect, which can be used to remove dark stains. Vinegar: To use this amazing cleaning product, you need to prepare a mixture of vinegar, lemon essential oil (optional) and extra virgin olive oil. Use a soft cleaning cloth dabbed in the mixture to give extra shine to your furniture. Alternately, you can prepare a mixture of vinegar and flax seed oil or linseed oil. Then, use a soft cloth to apply the solution, leave it overnight and the next day, buff it with a clean cloth to restore the shine. You now know some amazing ways to repair and maintain the condition of your leather furniture, which will let you enjoy your investment to the fullest. Keep your furniture clean and conditioned and you’ll keep loving it for decades. But it’s always advisable to use conventional leather cleaners like Austinfurniturerepair.org periodically. 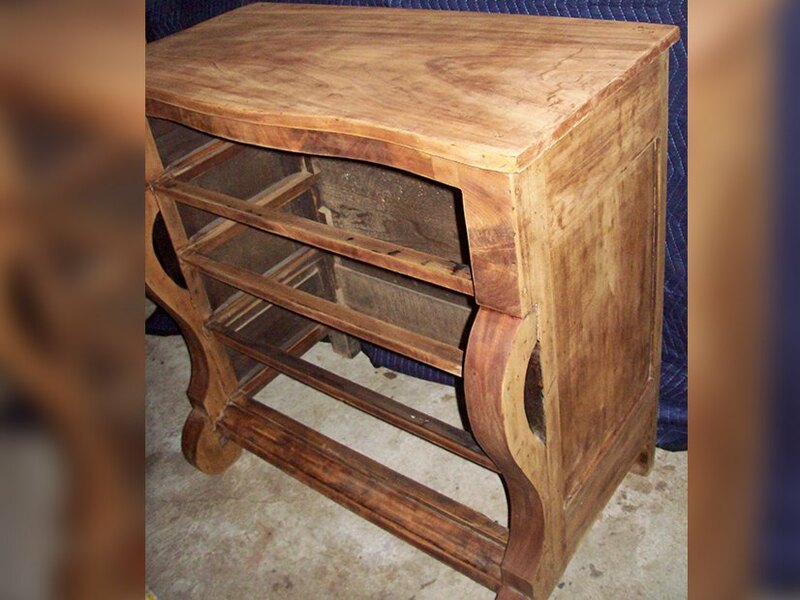 Additionally, if you find the cuts, scratches and tears to be significantly bigger to be fixed by the above DIY methods, you should call Austin Furniture Repair professionals, who are the best in leather furniture repair in Austin, immediately. If you live anywhere outside Austin, you can always call them as well and ask for a free quote.